The Westerly collection shows off bordered, T-shaped back and seat cushions that are surrounded by contrasting welt. Rolled arms and two sets of accent arm pillows are also wrapped with welt. The tailored skirt falls to the floor. 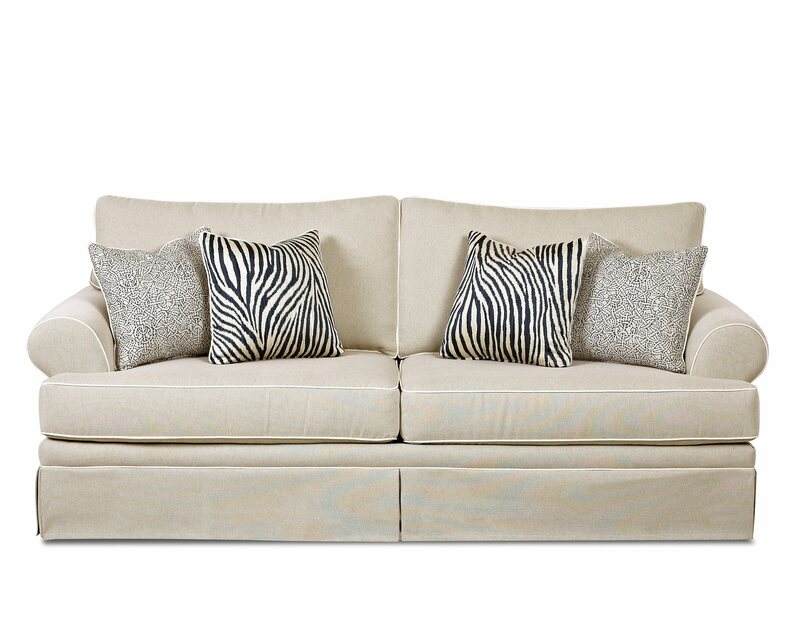 This "special order" Queen Sofa Sleeper is available in multiple colors and fabric options. Pricing varies based on fabric group.